Forward-looking: A leaked video from Samsung Vietnam supposedly showcases the company's first foldable phone, rumored to be released at some point in 2019. The video, which was subsequently pulled, depicts a foldable device with both internal and external displays, similar to renderings leaked last June. Samsung is having a difficult time keeping things under wrap lately. Following widespread leaks of the upcoming Galaxy S10, the phone maker once again let plans slip for an upcoming device. A teaser video likely meant to be shown at Samsung's first Unpacked conference of 2019 on February 20th shows multiple shots of what looks to be a foldable smartphone. The yet-to-be-officially-named "Galaxy F" can be seen at the 0:25 mark and again right at the end of the clip. The video, which was released by Samsung Vietnam before being quickly revoked, suggests that the Galaxy F will be much thinner than foldable prototypes we've seen, such as the Royole FlexPai that debuted at CES in January. Samsung has been dropping major hints of a foldable device lately. 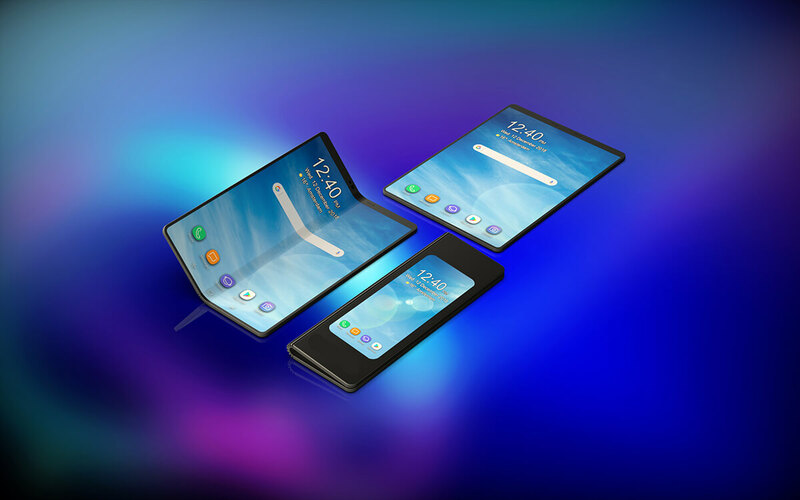 In November, the company unveiled its Infinity Flex display technology, and the recent One UI Android skin has built-in functionality for foldable devices. Those with a keen eye might have noticed that the layout of the Galaxy F is unorthodox. It seemingly has both an external and internal display, with the external display staying lit even when the device is flipped open. Judging by the shots in the video, that would suggest a large external screen paired with a tablet-sized foldable internal screen, which is at least one screen more than is necessary. Whether this is the actual device or simply a rendering for the video remains to be seen. If this is the foldable phone Samsung has been working on, it does seem to match the rendering leaked in June 2018. That handset, with the Galaxy X moniker, was predicted to cost almost $2,000.